Earlier this year, Radio Ulster held a public vote to find the ten most popular songs written by Northern Ireland artists. 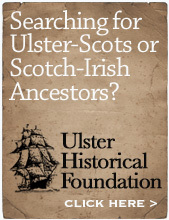 You can find out more here on the BBC Northern Ireland website. The winner was the 2001 song 'Shining Light' by Downpatrick rock trio Ash - a great piece of guitar pop and I think a worthy winner. The lyrics of 'Shining Light' have occasional oblique Biblical references - 'a constellation once seen over Royal David's city' and so on (read them here and pick out the references for yourself). I'm not saying that 'Shining Light' is a gospel song, but it made me wonder what the top ten Northern Ireland / Ulster written gospel songs would be. So in a few days time I'm going to post here my own top ten Great Northern (Sacred) Songbook - readers suggestions are very welcome. Great to see that my oul freen fae Ballyfrenis Darren Gibson (we went tae Sunday School, then big school, and then Art College thigether) has gone on tae bigger an better things from his Newtownards Chronicle column and is noo writin a new Ulster-Scots column for the News Letter. He micht leeve nearhaun the Maiden City noo, but he's still a Low Country Lad at hairt (an tung forbye). Today's column is about the simple joys of a wee danner, with a stick, and with no distractions. I'll say nae mair jist noo until he puts it online. To visit Darren's blog, 'Fae tha Han o a Low Country Lad', click here. ... on 25 May 1315 Edward Bruce, the younger brother of King Robert the Bruce, sailed from Ayr with a huge armada of 300 ships and with 6000 men. They landed on the County Antrim coast at numerous locations stretching from Glenarm to Larne Lough. Their purpose was to fulfil an invitation which had been extended to Edward by 12 Gaelic chieftains and the rogue Anglo-Norman DeLacys - to become King of Ireland and to drive out the Anglo-Norman 'Englishry' establishment. Thanks to the victory at Bannockburn in 1314, Robert was now the undisputed King of an independent Scotland. So in 1315, Edward would also become a King. Just days after the arrival in Ulster, his 6000 Bannockburn-hardened men famously defeated 20,000 Anglo-Normans in a huge battle near Raloo. A few weeks later Edward was 'crowned' at Carrickfergus Castle*... and so began a 3 year campaign. Robert came across to help on a number of occasions. Ultimately, the Bruces' campaign failed. • 2015 the 700th anniversary of his ancestral kinsman Edward Bruce, at the same part of County Antrim. ...then who's to say that this tune is any worse (or better) than the original? This is the old hymn 'In Tenderness He Sought Me' written in 1894, reworked by the Seattle indie rock band Citizens, who are part of the Mars Hill network of churches. All four songs from their new EP 'Already / Not Yet' are available here. 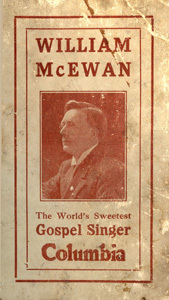 In 1894 it was written to suit a tune which was typical of the popular musical style of the time; and as the Archibald McIlroy posting below showed (and also the William McEwan series from November 2011) we can often get 'hung up' on our own ideas of what tradition is, not realising that what we regard as traditional was once very contemporary. But if you're hankering for the original, and for the words, here it is. Some of you will know that around Christmas 2010 I was invited to join Northern Ireland Screen's Ulster-Scots Broadcast Fund (website here); a relevant BBC Northern Ireland web page from November 2011 outlining themes for commissioning is available here. Many of you will have seen some of the programmes which have been made with financial support from the Fund; some of you may well be a bit more famous today due to having appeared in some of the programmes; or perhaps you've had your showreel/portfolio enhanced by being involved in making some of them. This blog post is to invite feedback from anyone who has an opinion to share on the subject, so please email me if you have something to say, or better still post a comment below by clicking on the small blue 'Comments' text in the footer of this posting. You can send me an email by using the first of the 'quicklinks' along the top of this page. (NB: This is not an 'official' consultation process but is for my own interest only. I can however relay any specific feedback to the USBF Committee if you want me to do so, either anonymously or attributed). "...A conteenual runnin' tae Sabbath-schools an' Gospel-halls an' tent meetin's; ivery whor an onywhor that there's onything excitin' or new... makin' the sanctuary like a play-hoose..."
Below are five pages scanned from Archibald McIlroy's The Humour of Druid's Island (1902), set in Islandmagee in County Antrim. The idea of 'Gospel-halls and tent meetin's' being 'excitin' or new' might come as a shock to some, as today many people (both within and without) would regard these as the pinnacle of tradition. Well not in a rural Presbyterian community in 1902! This is just one example of McIlroy's observational and storytelling genius, and shows the underlying complexity of multi-stranded Ulster Protestantism. And what has become Ulster's iconic 'wee drap o tay in yer haun'' is also scorned as a modern innovation of a 'hurry-scurry age'. He wrote in the Preface that the vocabulary in his books had been purposely diluted for commercial reasons - '...the dialect as spoken by the inhabitants of the rural districts, especially those of Antrim and Down. The only liberty I have taken with this rich inheritance is to water it down a little, to suit public taste...'. Nevertheless even this publisher-approved Ulster Scots is tremendous stuff. The Preface adds 'We in Ulster are proud of our unique dialect. We may at times feel a little ashamed to express ourselves in it before the ignorant... we think in it however; and when we are excited it oozes from us like water from the rock. We have a supreme contempt for poor creatures who have nothing to fall back upon but the pure English tongue'. Bloodless bean-counters rule over us – where are the leaders? Wally Olins is a recognised global expert on how to market a place - country, city or region. This is great stuff. I do some design work with White's Oats nowadays - here's a great old ad from the bowels of my book mountain - Ulster oats and a piper. I picked this up a few weeks ago for the princely sum of £3. It was published in the Coronation Year of 1953, to mark the 250th anniversary of John Wesley's birth. The publisher made a determined effort to simplify the story 'in modern caption form' to make it easy to get the story across to the general public, and hired a very accomplished illustrator called Greta Jones to create the visuals. The style reminds me of the more serious stories in the Dandy annuals I had as a wee lad growing up here in the 1970s. This booklet is just 24 pages, smaller than A5 in size, printed on cheap newsprint paper and given away free with a publication called the Sunday Companion. The quality of the storytelling is superb, hope you enjoy the sample pages below. Here's a recent find - the red box pictured below. Barbour's were founded in 1784 when John Barbour moved from Paisley in Scotland to Lisburn, County Down. Over the years the business became a world leader in the manufacture of threads. Sadly their factory at Hilden ceased production in February 2006 and now lies derelict (see photos here) on the banks of the River Lagan. 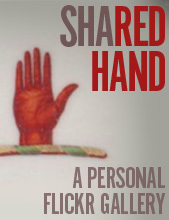 I have gathered up some examples of their products and packaging, all of which use the Red Hand of Ulster as the central symbol for the company's branding.